The Brabham Automotive is Anglo Australian sports car manufacturer based in the UK. The company recently unveiled its first sports car Brabham BT62 a track only hypercar. The company is only producing 70 models in the honor of its 70 years of racing tradition. The car is designed totally around the driver. It actually demands more from the driver. This car is engineered for people who push the boundaries and challenge themselves. So, you can just experience the driving in its purest form. The car is designed for track racing, but the company is thinking of making it road legal by customization and technology improvement. The most important change includes the Axle-lift system to overcome speed-humps on the road. It will also feature steering lock, engine immobilizer, and door locks as well. The car uses contemporary materials, technology, and process. The highly aerodynamic design reduces aerodynamic drag drastically. Brabham BT62 is a mid-engine track car with power to the rear wheels. The BT62 also has race-spec transmission at the rear. The 6-piston caliper front and rear disc brakes give lots of stopping power. The dry weight of the entire car is just 972kg. So, the car is incredibly light in weight. The power to weight ratio of this car is 730ps per tone. The overall performance oriented design produces 1200kg of down-force. Hence, it is incredibly stable at very high speeds. The driver in the car plays a real role in controlling BT62 rather than the electronics. Thus, you will get a greater sense of reward all the time. The BT62 features Brabham 5.4 liter V8 engine, producing 700bhp with 667Nm of torque. Along with power, the 6-speed Holinger motorsport sequential transmission gives immediate feedback. The BT62 also features drive by wire technology for immediate feedback on time. Traction control with adjustable ABS gives more control on track. The anti-roll bar and dampers give good driving control around corners. 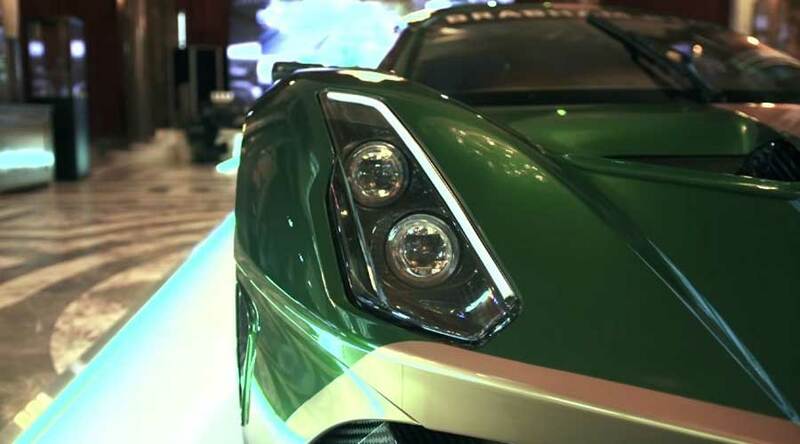 Furthermore, the car has a staggering price of US$1.4 million. The price also covers the Brabham Driver Development program. The program includes coaching of owners to make the most of their prized possession. The standard BT62 is not at all road legal, but the company provides road legal conversion to its owners. The registration involves an independent vehicle assessment. The owners from other countries can also use this facility. However, they have to ship back their cars to the UK once in a year for servicing and in order to comply with the registration laws. How fascinating is Yamaha Fascino? Pune Auto Expo 2017 Highlights: A duet of Precision & Innovation! Greyp G12 Bike: Guess what is it… a bicycle or a motorcycle?